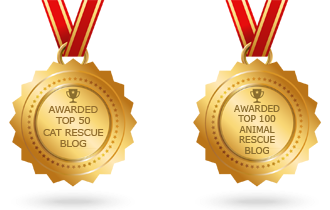 But today, I’d like to share with you our pets’ rescue stories. Some of you may already know them, and some may be reading them for the first time. 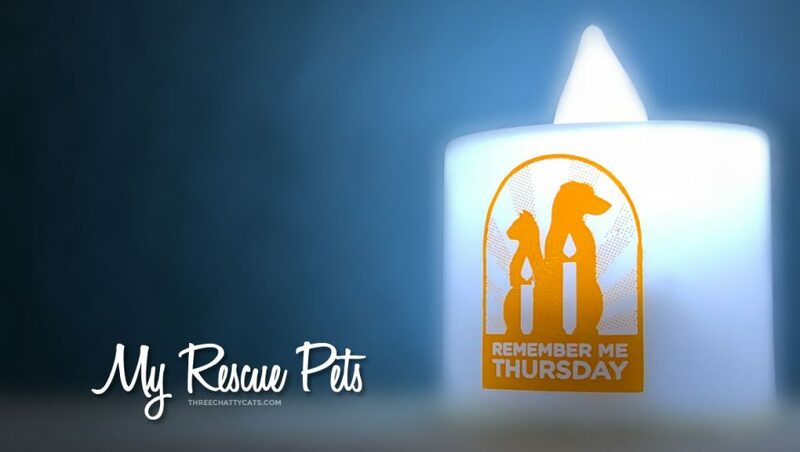 But what better day to share about our rescue pets again than on #RememberMeThursday. And perhaps, someone considering getting a new pet will decide on pet adoption first. Our first cat didn’t come from a shelter. 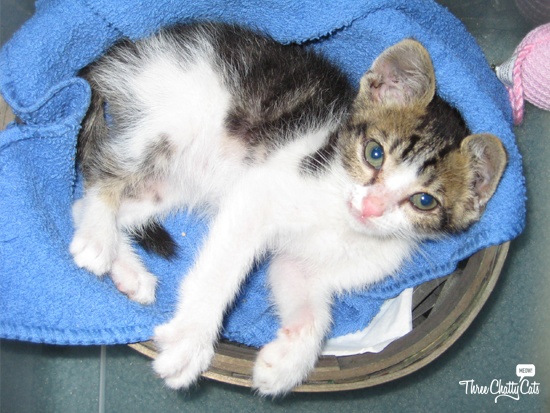 We found Dexter as a tiny three-week-old stray kitten when we were visiting family in Palm Desert, California. A scorching June day with temps over 100 degrees, he wouldn’t have survived much longer by himself. Already sporting a nasty gash on his lip, we found him just in time. As a kitten, Dexter kept our dog company, who at the time was recovering from his third spinal surgery. Another stray kitten, Olive was found outside our house by asphalt workers almost exactly one year after finding Dexter. The eight-week-old tortie kitten wasn’t microchipped, and no one responded to the signs we posted in the neighborhood. So, the little lady joined our family, and Dexter had a new best friend. Dexter couldn’t get enough of Olive and loved grooming her. They were inseparable and could often be found cuddling together. Sophie is our movie theater cat. A security guard found her outside the theater and asked me if I wanted to take her home since he’d already called animal control and said, “You know what will happen to her there…” I think he sensed a cat lover in me and yesofcourseIwantedtotakethisadorablecathome! So, at about six-months-old, Sophie became our third cat. Note that I did contact a cat rescue organization who was willing to take her. As you can tell, we couldn’t give her up. Woodrow was our first shelter cat, although he was a foster with us first. 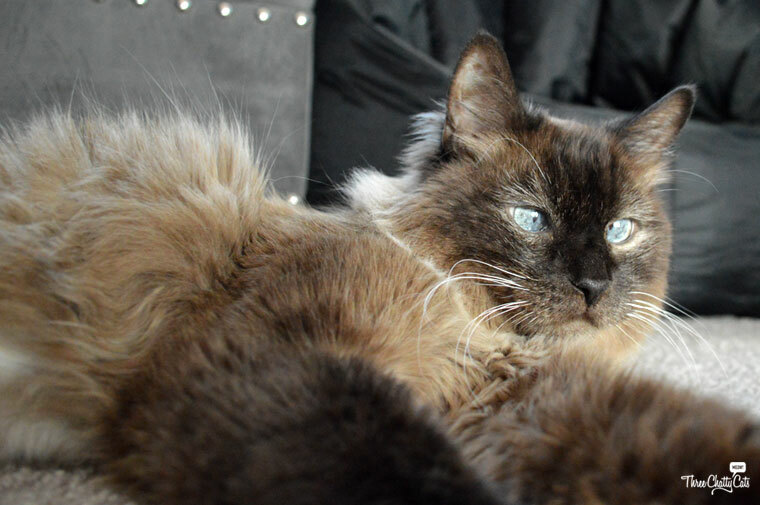 Originally, he had been adopted from Best Friends Animal Society in Los Angeles, but then returned a few years later due to a medical reason. He had stopped urinating and had blood in his fur. Unfortunately, his previous family couldn’t afford the proper vet care. Test results didn’t show anything (crystals or UTI), and it was suggested that his blockage was perhaps due to stress. He was put on a special diet, just in case, which meant he couldn’t be in the free-roaming community cat room and had to be confined to a kennel. And that’s where we found Lion (his name at the time) on June 17, 2017. The tall fella just needed a break from shelter life where he could roam around a house for a while. So, we took him home to foster. Mumblings of keeping him happened pretty quickly, although we didn’t finalize it for a couple of months to make sure the current resident cats (a.k.a. the Three Chatty Cats) would be okay with the newcomer being a permanent addition. June 23, 2017 – Still a foster cat, but he made himself right at home. Our second foster fail entered our lives on November 20, 2017. Harley had been adopted and returned twice in 2017. First time, they said he was too shy and peed when scared (which we’ve never witnessed). Second time, someone had allergies. 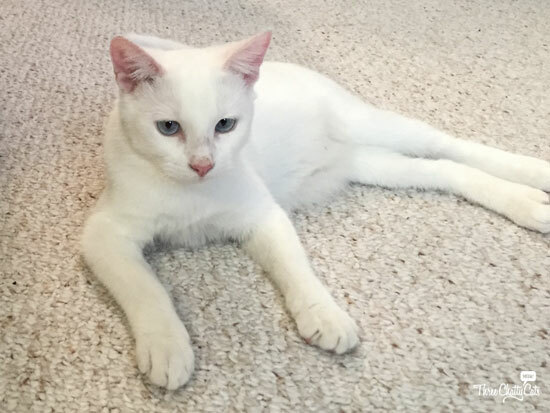 Described to us as a shy cat, Harley isn’t exactly shy – he’s just cautious. But if you ask him, he owns the house and no one will get in his way. He swats at Sophie and Dexter regularly to let them know who’s boss. Harley and Woodrow are chase buddies, doing zoomies up and down the hallway in the morning (yes, usually before 5am). As for Olive, they touch noses occasionally, but mostly ignore each other. Harley is the oldest of the group and quite often acts the part. He grumbles and talks to himself and has mastered his grumpy look. We really didn’t want to foster fail again, but we couldn’t help ourselves. 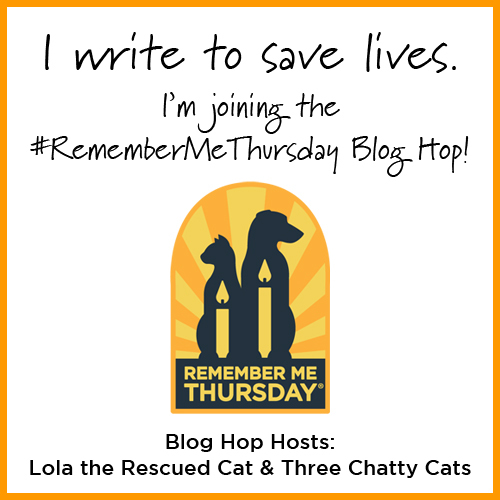 I know this is a cat blog, but I can’t post for Remember Me Thursday without recognizing our very first rescue pet. We adopted Eddie even before we were married, and he’s been with us for over 15 years now. We don’t know his exact age, but he’s at least 16 years, perhaps older. Eddie wasn’t a puppy when we adopted him, and the rescue estimated him to be one to two years old. 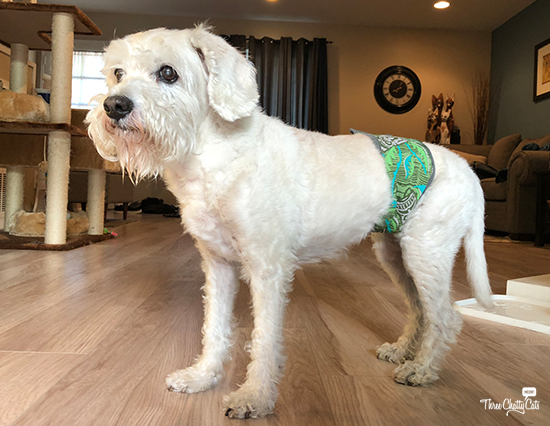 Just this past week, Eddie graduated to doggy diapers, but he hasn’t let that slow him down. What do you think? Pretty stylish? September 26, 2018 – Proud senior dog! 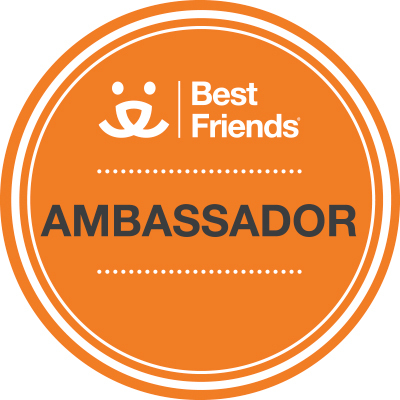 Will you be sharing your rescue pet’s story today on social media? 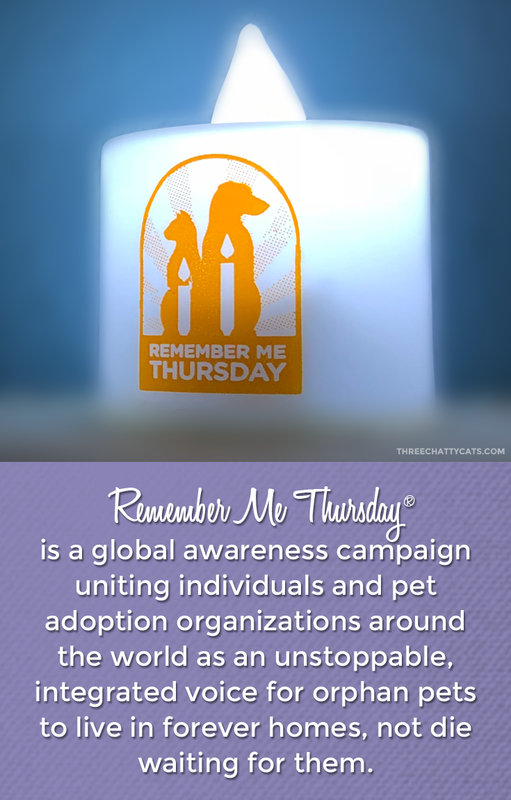 If so, be sure to use hashtag #RememberMeThursday and tag @hwac (if you’re on Instagram or Twitter). 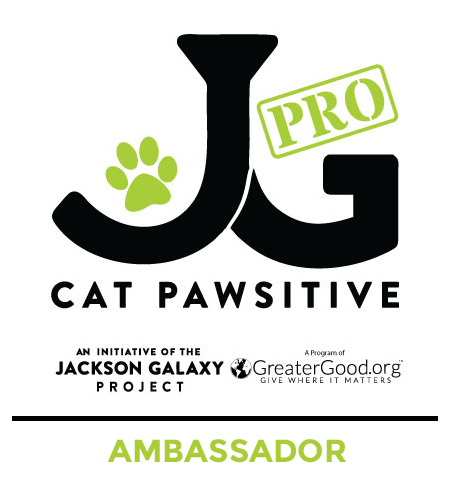 We hope to get the whole world talking about pet adoption today! 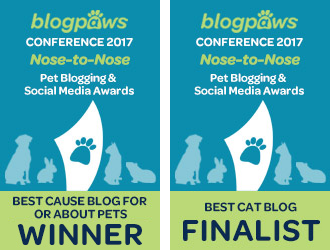 Fellow bloggers, link up your RMT posts on our blog or at Lola the Rescued Cat. 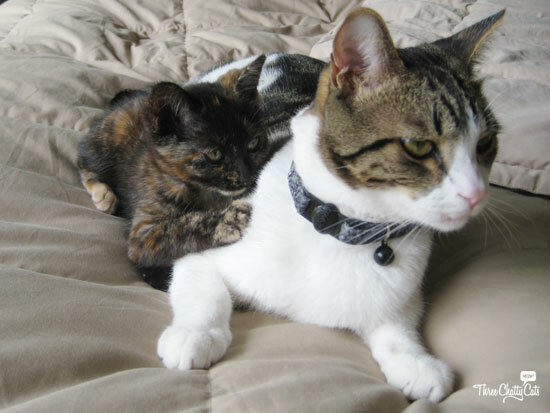 Previous Chatty Cats: Introoders, Mischief and More! 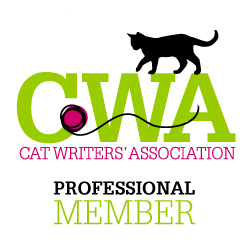 Next Chatty Cats: Stalking, Sit Ins and More! 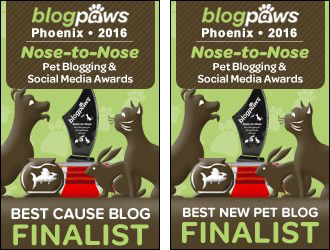 loved your rescue stories and we are happy to participate again for maybe the 5th or so year?? Purrfect! Thank you for rescuing these sweeties…and for giving them forever homes! Such a wonderful post and thanks for the wonderful blog hop. Rescue and adoption rocks, totally rocks! we love hearing these rescue stories!! Meowsers! Dexter sure was an adorable kitten! Seems like each one was preordained to join your family! I love each one too! Thanks for hosting this very important hop, and Adopt, Don’t Shop! “Just One More”, seems to be your motto and a great one it is. I was unsure of this blog hop but since reading your interesting blog I must try for next week. Thanks. That is a lovely story about how everyone came to live with you. I couldn’t get a post together but I share Plush’s story on my fb page. 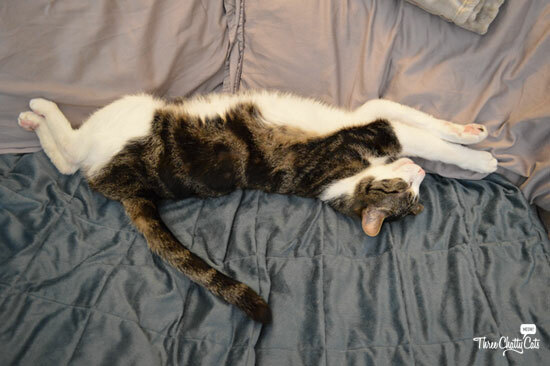 I could have shared so many more – like Treeno my heart and soul cat. I drove 12 hours to adopt him, and 12 hours back with him. Worth all of it. I could talk about Jeremy, my other NFC lookalike that my favorite rescue saved from life on the streets in an apartment complex where people move out and leave their animals behind. Or Miss Minerva- I call her my bonus cat – she was brought to me as a 5/6 week old kitten that a guy couldn’t get rid of, last of the litter. Do his friend said let’s take her to the pet store the manager loves cats. Or my mother and son pair. But Plush’s story is the most dramatic and makes the best copy lol. And he’s become my mascot. You are an angel for saving all of these precious lives!!! We love your babies and are so happy you all have each other. We feel like carp since this is the first time we didn’t participate. Thank you for sharing your family’s adoption stories. Autumn and myself were the only shelter cats in our family. All the others were strays that stayed. We loved learning about how all your precious babies came to live with you. There are so many animals who need help, and we are grateful that you are such huge advocates for them. You guys rock! What a lovely family. We are indeed fortunate when a feline reaches out and rescues a human. We can delude ourselves but they choose us and they rescue us. Life without them would not be the same.